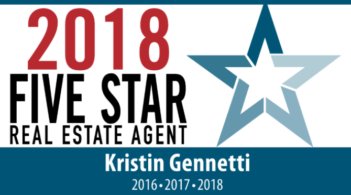 Kristin was our buyers agent for the purchase of our first multi-family home and we can confidently say that we could not have asked for a better person to guide us through the process. We contacted Kristin after reading through her numerous excellent reviews online and we are happy to be where we are today, writing about our experience from the comfort of our new home. Going into the home buying process we thought we knew what we were getting into but Kristin continued to amaze us day-in and day-out, every step of the way, with valuable market in-site and a fresh outside perspective of things to consider that we may not have been thinking of. Kristin is an excellent communicator with a response time that is always nothing short of amazing. Phone calls, emails, text messages; take your pick and she was there in an instant every time, days, nights, and weekends. We are still not sure when/if she sleeps. We hope to have the opportunity to work with Kristin in the future!